I can’t possibly begin to say what this means to me. I got this news while I was on the way out the door to celebrate my 10th anniversary with my fiancee (which is one of those things that, if it happened in fiction, would be totally hard to suspend belief on, you guys), and I actually cried with joy. It’s so, so incredible to me that my first book was this well-received and I’m still more or less incapable of finding the words for it. Congratulations to all the other winners and runners-up as well*, and please know that so much of the joy I feel is for you too. In celebration of their placing authors, my publisher, Less Than Three Press, is holding a sale until midnight on December 9 where all the placing books are on sale for just $0.99. That of course includes Beauty and Cruelty, which is a full $6 savings. (EDIT: NOW OVER and back to regular price) . 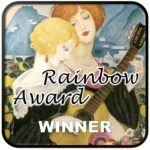 Please check it out—along with all the other winners, naturally! Beauty and Cruelty can also be purchased on Amazon . You can see details on it, along with my other books, on my Books page. 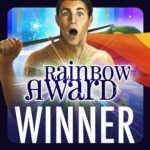 Thank you so much to the Rainbow Awards judges for this honor. *At the time I put this link up, the URL directs to the contest-hosting page, but it should shortly be updated with the full list of winners as announced on Elisa Rolle’s blog and Twitter. You are very, very welcome (and totally deserve all the winnings!) Congratulations on your anniversary!